This month I've taken some questions that have been asked recently by representatives on our team and in the greater Avon Community and answered them. Q. How do I find the codes for online only specials that Avon offers to Direct Delivery Customers? A. The best way to keep up with those offers is to register yourself as a customer on your estore and make sure your automated emails are turned on. You will get the same emails as your customers and you can share those with any customers who don't have their email registered or through social media. Q. A customer ordered a perfume at full price but last campaign it was on sale. If I order it at the sale price do I pass the saving on to the customer or do I make a larger profit. A. When you can get a product at a lower price than a customer is expecting to pay you have the choice whether to let the customer buy at the lower price, or keep the extra profit and increase your earnings. Which you choose is a personal choice, there is no right or wrong answer. If you pass those savings on to the customer you are increasing the value you provide to the customer. Customer loyalty is increased when they know that you are looking out for them and they can shop worry free because they know you will get them the better price if you can. This can result in higher sales in the future. It is also fair to say that if a customer had the opportunity to order the product when it was on sale in the earlier campaign and didn't then you will keep the extra profit on that item as a small bonus. Q. Are Avon products all made in the USA? A. No. Avon is a global company and as such has production facilities in most if not all of the countries that we do business in. If you look at the packages and labels on our products sold here in the US you will see products made in many different countries. All of our Core Avon Beauty products are produced in Avon facilities so all meet the same quality and safety standards as products produced in the US. Some of our non-core products are produced by non-Avon vendors and I can say that I have seen a product or two over the years that was not the quality that I would expect from Avon but every company has the occasional miss and that is why we have the 90-day guarantee...if a product isn't what the customer expected we can return that item to Avon. Q. I have a customer who placed an order through my estore and choose direct delivery and something in their order was not right, how do I fix that? A. With direct delivery orders we as representatives are somewhat limited in what we can do to assist the customer. You can assist the customer with reviewing the invoice that was included in her shipment to determine if there is an explanation for the missing or incorrect item and figure out what they were billed for. 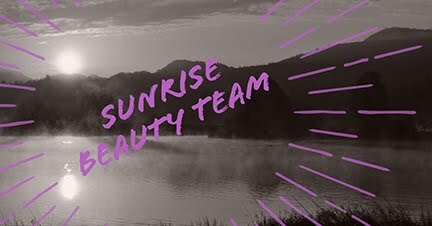 Once you have pinpointed the exact problem the customer will need to contact Avon's online customer care to resolve the issue. They can call estore Customer Care at 1-866-500-AVON (2866) or email dearavon@avon.com. They will need to include their order number in any correspondence. If for some reason the customer does not have their invoice / order number you can find that in your web office and provide that number for them. Have a question you would like answered in a future Meeting in Your Inbox...just let me know. We're heading into the 4th quarter which is often the busiest time of year for reps because of customers holiday shopping leading to more customers ordering combined with increased personal commitments. It is key to have a solid plan for ensuring your customers get their brochures and orders in a timely fashion. Molly Stone Bibb, one of Avon's top leaders gives her tips for organizing this area of your business in this week's featured training.